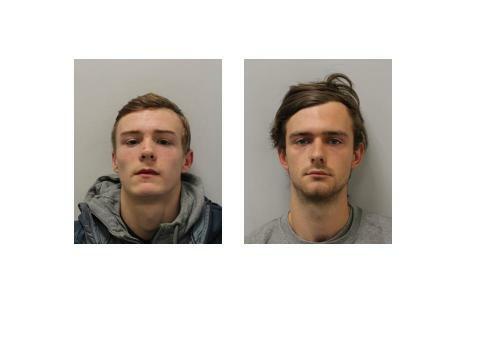 Two men who committed violent robberies have been jailed for a total of almost 14 years. 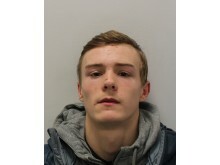 Joshua Scales, 18, (17.08.00) of no fixed abode pleaded guilty and was sentenced to six years and four months' imprisonment, with an extended three year licence, for one count of robbery, possession of cannabis, three counts of fraud by false representation, handling a stolen motor vehicle (Vespa Piaggio), and theft of a safe. 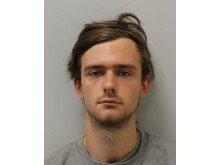 James Hicks, 20 (10.11.98) of no fixed abode pleaded guilty and was sentenced to seven years and six months' imprisonment for three counts of robbery, five counts of fraud by false representation and theft of motor vehicle (Vespa Piaggio). On Friday, 11 May, at 15:00hrs, Scales and Hicks went to a care home in Newham where Scales was supposed to be residing. He had been missing for about three weeks from there, consequently breaching his youth referral order conditions. Scales demanded money from the deputy manager, which he refused to give. The deputy manager tried to call police, but Scales ripped the phone line out of the wall before grabbing a small safe containing £1,012. Both then fled. On Friday, 25 May, at 21:20hrs, Hicks and an unidentified male were on pedal cycles in the Montrose Playing Fields, Barnet when they approached a male and female in the park. They demanded the male's rucksack and the female's wallet and phone, threatening to stab them. The male refused to give up his rucksack. He was punched to the ground and then kicked, causing him to release his bag. The female handed over her belongings and the suspects fled. Between Saturday, 2 June at 21:00hrs to Sunday, 3 June at 07:00hrs, they stole a cream-coloured Vespa Piaggio scooter from outside a house in Heath Street, Camden. On Monday, 4 June, at around 21:15hrs, Hicks and Scales rode the stolen scooter, looking for a victim to rob. They made their way to Holyrood Gardens, Barnet and using the scooter, approached a 25-year-old female, intending to steal her belongings. She attempted to escape but they chased her down and cornered her. She pleaded to keep her property, but was punched in the face, causing her to fall to the ground. Scales and Hicks then took her mobile phone and bag. She sustained a fracture to the skull, a bleed on the brain and was placed into an induced coma. Around 15 minutes later, Hicks was captured on CCTV in a shop using this victim's bank card. Later that evening, both are seen to commit other fraudulent transactions for ice cream and soft drinks while their victim was lying in hospital, fighting for her life. On Wednesday, 6 June, Operation Venice, which tackles moped and motorcycle enabled crime, took ownership of the case and launched an investigation. CCTV was reviewed and officers retraced the route of the moped on the 4 June. This led them to Watling Park where officers saw a group of people drive off on mopeds, one of which was the stolen Vespa. Shortly afterwards, the officers responded to a call nearby in which four people on two mopeds were attempting to rob a member of public. Officers attended and the stolen Vespa was found abandoned - DNA was retrieved from it that provided a link to Hicks and Scales. Also, Hicks's mobile phone was found inside the scooter's glove compartment. Extensive research was then conducted into moped offenders living near to Watling Park. 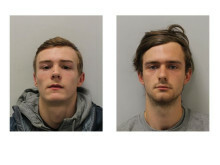 Hicks and Scales were identified as the two suspects involved in the assault and robbery in Holyrood Gardens. An address of significant interest was also identified on Colchester Road. On Thursday, 7 June, officers from the Venice Investigation Team, Roads and Transport Police Tasking Team and Scorpion units (specialist drivers in cars and on motorcycles) surrounded Watling Park in wait for the suspects. After it was confirmed that Scales and Hicks were in the park with a group of moped riders, officers moved in. Scales attempted to flee, discarding some bags of cannabis, which were later recovered. He was quickly detained and arrested for the robbery committed on the 4 June, and possession of class 'B' drugs. Hicks was also detained, and arrested for the same robbery. The other charges of robbery, fraud, theft and handling stolen goods were later added after a robust investigation. A search was carried out at an address in Colchester Road, Barnet - the home address of an associate of Hicks. The debit card and driver's licence stolen during the robbery on 4 June; a hard-drive and credit card from the robbery on the 25 May; knives; a window breaker; a samurai sword in a scabbard; items of jewellery; mobile phone sim cards; bike gloves; hooded jackets; and a black motorcycle helmet were all recovered. "Scales and Hicks left a young woman fighting for her life after violently assaulting her, demonstrating the extreme lengths they were prepared to go to steal property. "The tenacity of the Venice team led to these criminals being located and arrested within 72 hours of the offence being committed, as well as the capture of the evidence needed to obtain their conviction and this sentence. "Operation Venice will stop at nothing to bring to justice criminals who rob people, and will use every legal tactic at our disposal, including tactical contact to do so."